This beautiful area of the UK is perfect for spa breaks in Scotland. Tranquil surroundings of our spa hotels in the Argyll and Bute make it the perfect place for weekend spa getaways and breaks. Its easy to drift away into a fantasy land when enjoying a drink in the sun after a relaxing spa treatment (or two!) looking over the beautiful scenery that this fantastic county has to offer. The Isle of Mull has been voted as one of Europe's and the UK's best islands with the TripAdvisor 2014 Travellers’ Choice Islands awards. Our two night spa breaks on this special island in Argyll are the ideal solution if you truly want to get away from it all. 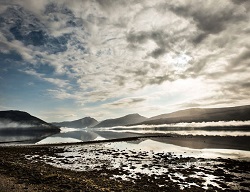 Loch Fyne Hotel is situated on the the shores of Loch Fyne with stunning views out across the water. If you are looking for a short break this hotel offers both spa breaks and leisure breaks with use of the spa facilities. After you've been pampered why not take the short stroll into Inverary where you can visit the castle or the jail, have a coffee or spend some time in some of the quaint gift shops. Spa Breaks at Oban Bay in Argyll are set in another fantastic location with open bay views and sunsets that are really special. Sourcing the best of local produce the Oban Bay Hotel likes to give you a true taste of Scotland during your stay. This whole area is a simply stunning place to spend a weekend or midweek spa deal in Argyll and Bute with a good friend or your other half. It is also an ideal location for a group celebrating a special occasion wanting something a litle special. If you would like to check availability for one of these breaks then please call us on 0800 012 2000.